The Philadelphia Inquirer, Daily News and Philly.com again recognized Beaumont at Bryn Mawr as one of the region’s top places to work during its 8th annual award celebration, held on March 23, 2017. 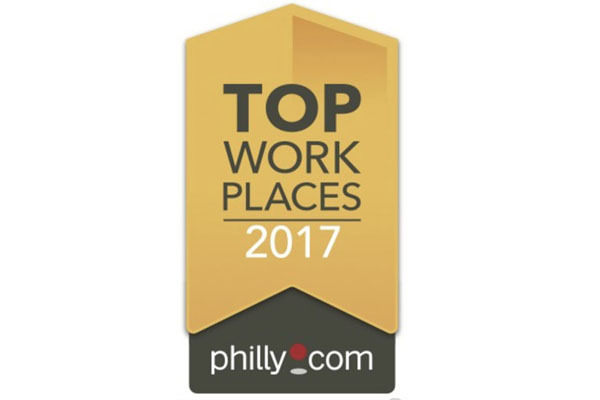 Top Workplaces 2017 is an effort to discover the best employers in the Philadelphia region – as decided by each company’s employees. More than 39,000 were surveyed by WorkplaceDynamics of Exton. Nearly 600 attendees enjoyed great food and drinks at the awards ceremony, where 125 local companies, including Beaumont, were recognized for receiving high scores from their employees in areas such as direction-setting, training, benefits, communication, etc. The rankings for the Small, Midsize and Large companies were revealed at the event, and were featured in a Special Section in the Inquirer on Sunday, March 26. Representing Beaumont at the event were Crystal Jones, Claire McDonald, Dione Dieudonne, Dolores Hill, Patricia Valenza, and Sonya Clarke.